Would you place your earnings on the line based on your boss or customer, being 100% satisfied with your work performance? I am offering to do exactly that for you. 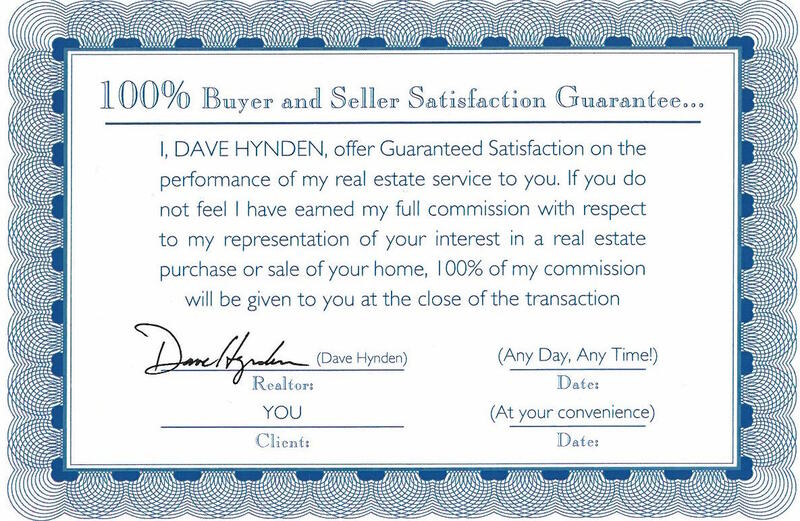 My Guarantee is your assurance that you are hiring the highest caliber real estate professional to represent you in one of the most important investments. If you are thinking of selling or buying, or have questions about today's market, call me today! In 19 years, I haven't had a dissatisfied client yet.